Gstaad champion Matteo Berrettini extended his unbeaten streak to six, beating fifth seed Gilles Simon of France 1-6, 6-3, 6-4. The 22-year-old Italian broke Simon three times and advanced after one hour, 55 minutes. Berrettini will next face Radu Albot of Moldova, who beat Slovakian Jozef Kovalik 6-1, 6-3. Taro Daniel needed just 78 minutes to eliminate seventh seed Jan-Lennard Struff 7-6(3), 6-1. The TEB BNP Paribas Istanbul Open titlist won 86 per cent of first-serve points and did not face a break point en route to victory. Daniel will meet Laslo Djere in the second round. Djere, who reached the semi-finals in Gstaad last week, beat newly-crowned Hamburg champion Nikoloz Basilashvili 6-3, 6-3. Hamburg semi-finalist Nicolas Jarry continued his solid run of form, beating Ecuador Open winner Roberto Carballes Baena 7-6(3), 6-7(5), 6-4. The Chilean will play third seed Fernando Verdasco for a spot in the last eight. Top seed Dominic Thiem is bidding to become the second Austrian to win the Generali Open. In 1993, Thomas Muster became the first Austrian champion in Kitzbuehel, beating Javier Sanchez in straight sets. Britain’s Andy Murray beat Mackenzie McDonald 3-6 6-4 7-5 in the Washington Open’s first round in his fourth match following hip surgery in January. Edmund beat Murray at Eastbourne in the third match of his return during the grass-court season before the Scotsman pulled out of Wimbledon as he felt it was “too soon” to play five-set matches following his rehabilitation. But Murray immediately broke back – in a game that included a controversial call when McDonald’s racket was adjudged to have crossed the plane of the net with the score 30-30 – before serving out to win a 73-minute set and reach the second round. 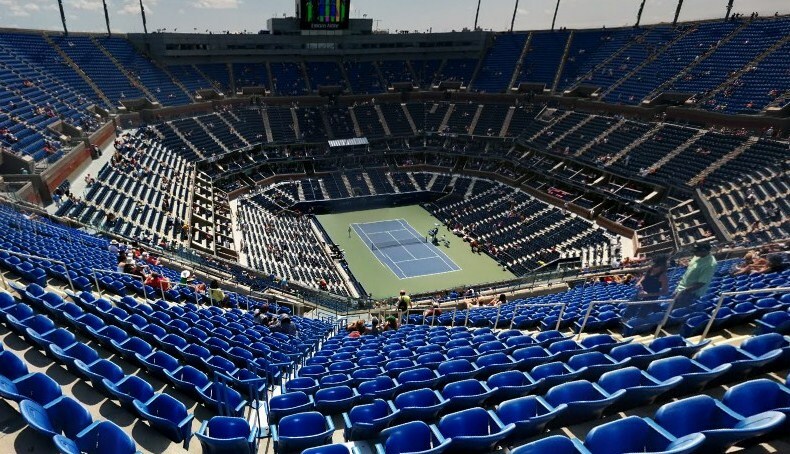 The match was Murray’s first on a hard court since March 2017 at Indian Wells and his first experience with a serve clock, which will be used at the US Open from 27 August. “I hadn’t played in darkness or under the lights in a really long time and I felt my rhythm was off,” Murray said. #NextGenATP American Taylor Fritz exacted revenge against Aussie Thanasi Kokkinakis on Monday to start the third edition of the Abierto Mexicano de Tenis Mifel presentado por Cinemex in Los Cabos. 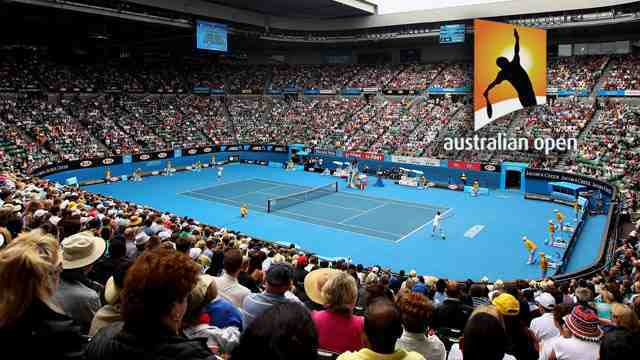 Fritz lost to Kokkinakis in last year’s quarter-finals, and the Aussie went on to reach the final (l. to Sam Querrey). But this time, Fritz squeaked past the 22-year-old right-hander 7-6(6), 7-6(5) to advance and even their FedEx ATP Head2Head series (1-1). “I played well. It was a lot like last year’s match. It could have really gone either way… just a couple points here and there. I’m really happy to get through,” Fritz said. He is looking to reach his second ATP World Tour final (Memphis 2016) and solidify his place among the top seven in the ATP Race To Milan. The 20-year-old is currently in sixth place. 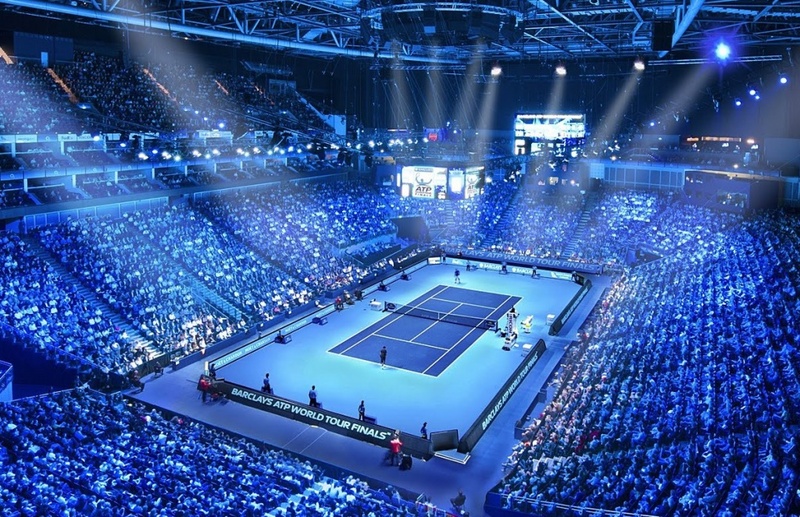 The top seven will automatically qualify for the Next Gen ATP Finals, to be held 6-10 November in Milan, while the eighth spot will be reserved for the winner of an all-Italian qualifier tournament to be held just prior to the prestigious 21-and-under event. 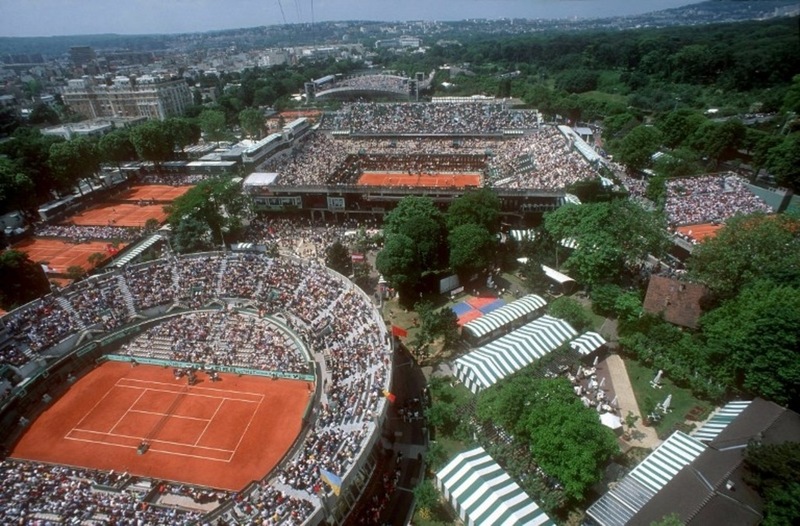 Players must be born in 1997 or later to be eligible for the Next Gen ATP Finals. Fritz and Kokkinakis will meet again this week. They’re playing doubles together. “It’s so funny because before the tournament started I knew I was going to play him. Before the draw even came out, I said to my coach, ‘I bet I’m going to play Thanasi’… It happens sometimes,” Fritz said. In singles, Fritz will next face Japan’s Yoshihito Nishioka, who broke four times and beat Portugal’s Gastao Elias 6-4, 6-3. Nishioka saved six of eight break points and advanced in 85 minutes. #NextGenATP American Michael Mmoh picked up his fifth tour-level win of the year (5-3), beating compatriot Ernesto Escobedo 6-3, 4-6, 6-1. The 20-year-old Mmoh won 86 per cent of his first-serve points (38/44) and broke Escobedo twice in the final set. He will next meet Canadian Peter Polansky or Daniel Elahi Galan of Colombia. Fritz made the 2016 Memphis final in only his third tour-level event, falling to Japan’s Kei Nishikori. Will Zverev Brothers Finally Meet This Week? It was not easy, but Andy Murray battled to his first hard-court win since 4 March 2017 on Monday evening at the Citi Open. The former World No. 1 defeated American Mackenzie McDonald 3-6, 6-4, 7-5 after two hours, 37 minutes to clinch his second victory of the season (2-2) in just his third tournament back from hip surgery, which he underwent in January. The Scot advances to face British No. 1 Kyle Edmund in a rematch of their second-round encounter at the Nature Valley International in Eastbourne, won by Edmund. Murray held five match points while serving for the match for the first time at 5-4 in the third set, but McDonald was steady, breaking back. In the next game at 30/30, when it appeared the American had an easy putaway volley to earn a game point, he was called for reaching over the net, giving the Scot break point. After converting that, Murray did not waste his second opportunity to serve the match out, closing out the encounter on his seventh match point at 12:46 a.m. when his opponent missed an inside-out forehand long. The 31-year-old’s reaction said it all, screaming “Yeah!” twice as he walked to the net. After Wimbledon last season, Murray did not play a match for 11 months before returning at this year’s Fever-Tree Championships. This is Murray’s first hard-court event since last year’s BNP Paribas Open. The 45-time tour-level champion showed signs of good form in his first match back at The Queen’s Club against Nick Kyrgios, pushing the in-form Aussie before Kyrgios triumphed 7-5 in the third set. He also beat former World No. 3 Stan Wawrinka in Eastbourne before losing against Edmund. On Monday, Murray showed both a strong competitive spirit and room for improvement. McDonald was unafraid of taking control in rallies early on, using a good variety of aggression and finesse with drop shots to control play against the World No. 832. The American excelled when he punished the Scot’s second serve, taking advantage of Murray’s repetitive placement by running around his backhand to attack with his forehand and control points from there. But as the match went on, Murray’s steadiness began to wear on McDonald, who began to make more unforced errors. And once he began to spray more shots, Murray added more balls with little to no pace to goad his opponent into playing aggressively. Credit is due to McDonald, who has shown excellent form of late. The 23-year-old, who entered the season without a tour-level victory to his name, advanced to the fourth round at Wimbledon, using that effort to crack the Top 100 of the ATP Rankings for the first time. He also showed his talent in the second round of the Australian Open, where reigning Nitto ATP Finals champion Grigor Dimitrov defeated him 9-7 in a fifth set. Only five other singles matches were completed on the opening day due to rain. Winners included American wild cards Tim Smyczek and Noah Rubin along with #NextGenATP Pole Hubert Hurkacz. Former World No. 3 Stan Wawrinka was set to face American Donald Young right after Murray’s match. 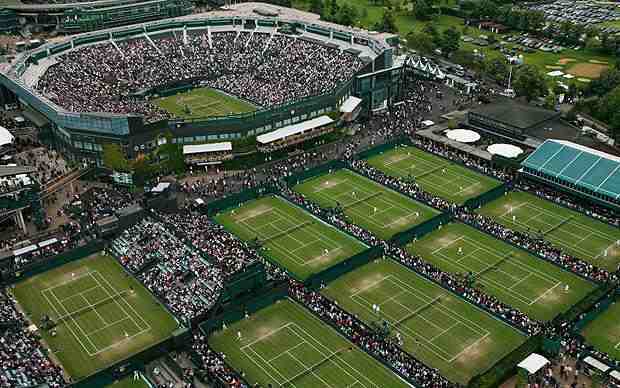 But as soon as the players took the court, rain began to drizzle again, and the match was postponed until Tuesday. Due to his injury, Murray slipped to No. 839 in the ATP Rankings earlier this month, which is lower than any ranking he had previously held in his career.